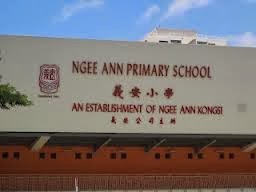 Ngee Ann Primary School is located at 344 Marine terrace in Singapore 449149. It is enclosed within the Marine Parade Region. Marine Parade is a town that sits on the east of Singapore’s Central area- the country’s central Business District. It also sits beside East Coast Park. Nearest MRT is Kembangan MRT and the closest bus interchange is Eunos Bus Interchange. Amenities in the area include Katong Mall, Parkway Parade and Roxy Square. Some of the schools close by are CHIJ Katong Convent School, Victoria Junior College and Tao Nan School.